Buying a new home may be the biggest investment you’ll ever make. Although the process is very exciting it quickly becomes overwhelming. While the home you have selected may appear to be just what you’re looking for, how can you be sure there aren’t potentially serious unknown defects which can make your investment in your future a costly one. Having your new home professionally inspected by Wellington Home Inspections as early as possible in the buying process can save you thousands of dollars. Our company is dedicated to providing you with valuable information about your new home. We inspect all major components of the subject property to expose unknown defects and advise you about future maintenance about your home once the purchase is complete. We perform Termite Inspections to identify wood destroying pest and organisms. 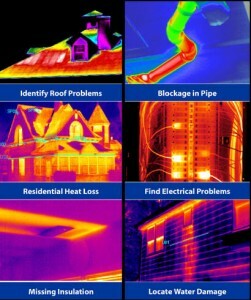 A Thermal Scan of your building can expose moisture and heat loss issues not readily visible with the naked eye. Our company will give you the information you require to make an informed decision. Services throughout San Francisco and the Upper Peninsula.